No need to be intimidated by the expensive words in the title. Break it down. First, paleo. People who study ancient things are paleontologists, and you read about them here quite often. It comes from Greek words that basically mean ancient being study. Bio, meaning life, such as biology, the study of life. 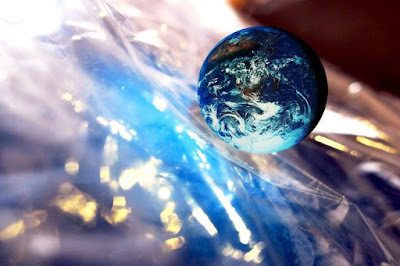 Geography, the study of the earth, environments, and people. So, put it all together. Both creationary and evolutionary scientists have worldviews, speculations, hypotheses, and models. Creationists have differing views on the mechanisms (but not the biblical reality) of the Genesis Flood. Evolutionists are constantly flustered by discoveries that don't comport with their belief system. This includes biogeography — "How did that get there"? One such recent discovery helps creationary paleontological research. It also helps these creationists develop their paleo-biogeography model about our recently-created world. The recent report of a fossil bird discovered in Wyoming shows another glaring indicator of evolution’s failure to explain the story of life. Scientists analyzed the fossil and realized it’s related to the turaco, a living bird that’s only found in Africa. 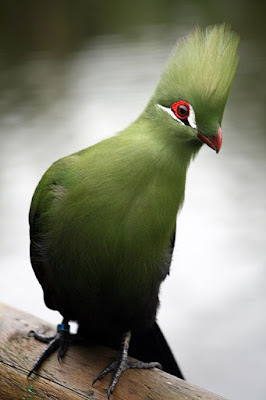 If evolution were true, we should only find turaco-like bird fossils in Africa, not some distant land like western North America. The secular authors of the recent fossil bird paper openly acknowledge the evolutionary contradictions in their research field and state, “Many avian crown clades [living representatives of a group] with restricted extant distributions appear to have stem-group relatives [ancestral types] in very different parts of the world.” In light of evolution, these finds make no sense at all. To read the entire article, click on "Building a Biblical Paleo-Biogeography Model".